The trick about falling down rabbit holes is knowing how to get back out. 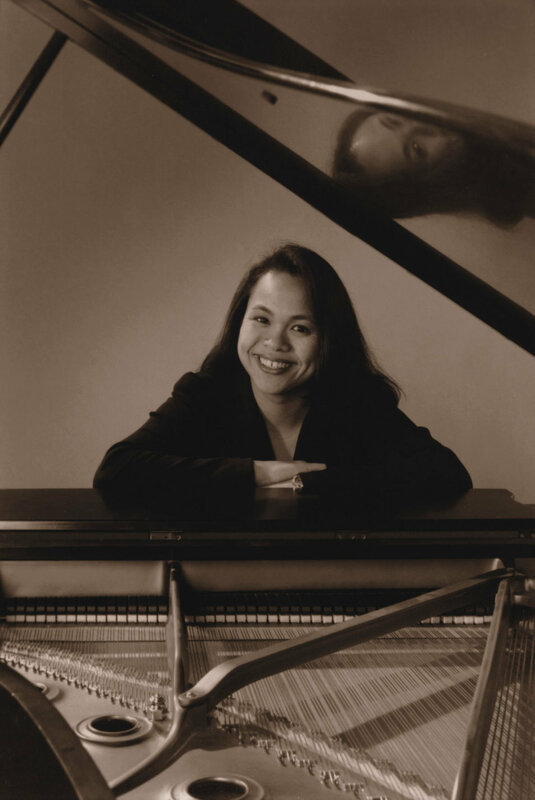 The insistently inventive composer, arranger, bandleader and educator Ayn Inserto has built a brilliant career around her gift for designing fantastical but slyly logical musical landscapes and crafting sonic adventures marked by sinuously surprising melodies, Technicolor harmonies, and arrestingly vivid voicings. 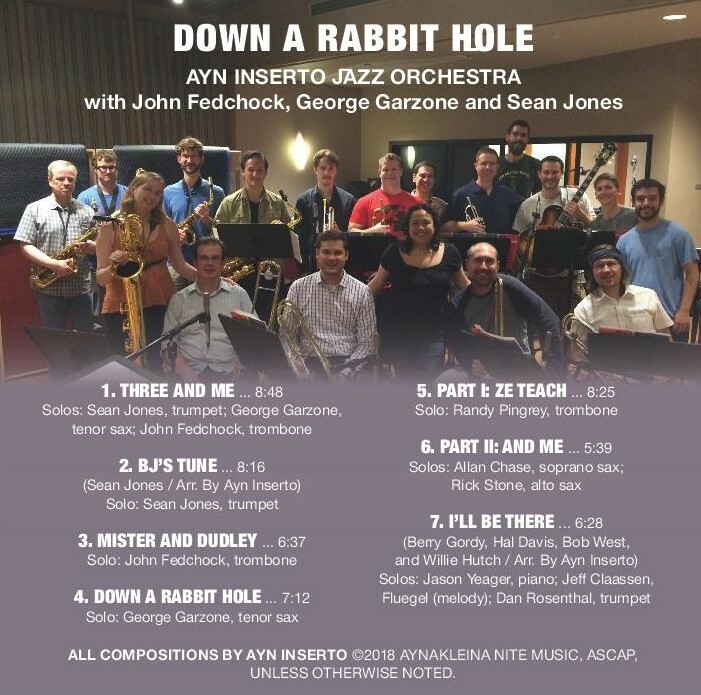 Due for release on Summit Records on September 21, 2018, the Ayn Inserto Jazz Orchestra's first new album in a decade, Down a Rabbit Hole, reintroduces her sly and imaginative musical world, a realm populated by some of jazz's most expressive improvisers. 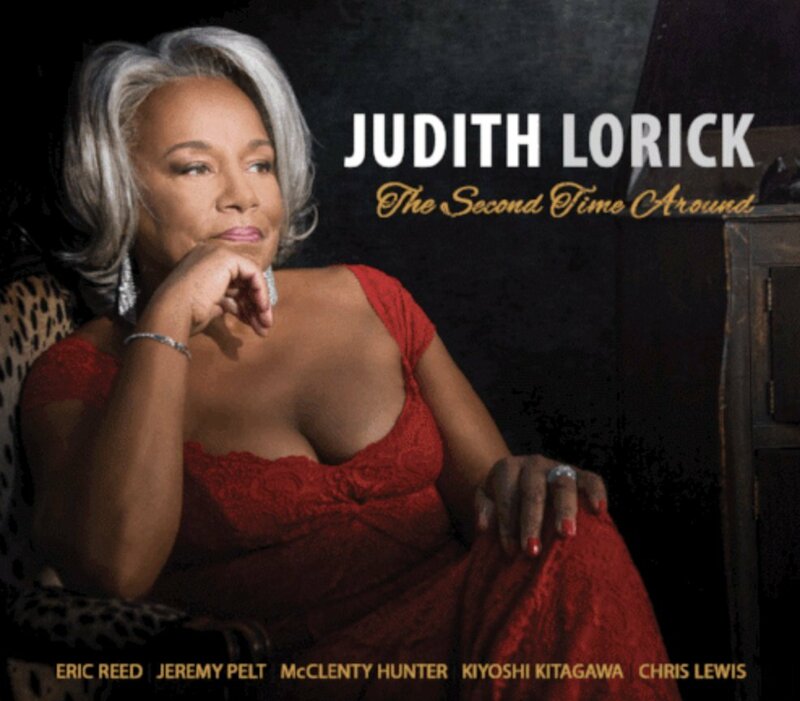 In many ways Inserto conceived Rabbit Hole to showcase her three special guests - trumpet star Sean Jones, tenor sax great George Garzone, and trombonist John Fedchock - along with her exceptional cast of players many of whom have been with her since she launched the group in 2001. "I saw the album as an opportunity to feature these three amazing musicians, people I consider good friends and musical influences," says Inserto. "They're three artists who don't necessarily play together so it was really fun to bring them together." A protégé of legendary trombonist/arranger/composer Bob Brookmeyer, Inserto has ascended to jazz's top ranks over the past two decades, earning numerous awards and commissions. Her last release, 2015's Home Away From Home (Neuklang Records), documented her collaboration with Italy's acclaimed Colours Jazz Orchestra. With Rabbit Hole, she's landed back on home turf. From the first track "Three and Me," her bespoke sensibility provides her guest triumvirate with passages tailored to their musical personalities. She arranged "BJ's Tune" as a vehicle for Jones' gorgeous trumpet, a sound as rich and glorious as any on the scene. His poised solo is a case study in melodic development as the band gently churns underneath his ascending lines. Inserto doesn't really write programmatic music, but the briskly swinging "Mister and Dudley" does capture the frisky energy and quotidian pleasures of spending time with the tune's sources of inspiration. Inspired by Fedchock and bass trombonist Jennifer Wharton's two namesake dogs, the piece evokes the pooches with affable affection. 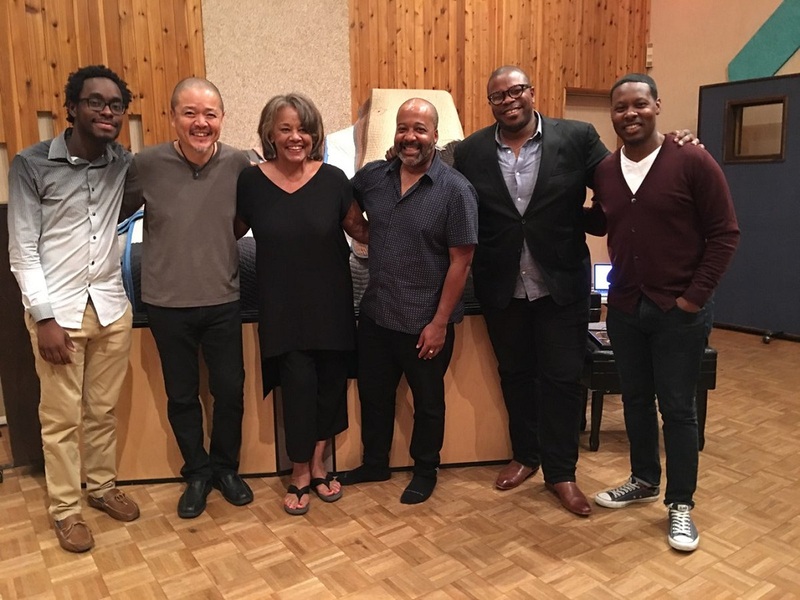 Inserto recorded the title track, which was commissioned by the Amherst Jazz Ensemble, on her last album with Colours Jazz Orchestra, but that sojourn underground was a relatively calm excursion. Unleashing Garzone on the tempestuous chart results in a whirlwind adventure with his Mad Hatter saxophone inciting the band's tea party rumpus. The album's centerpiece is Inserto's two-part suite pairing of "Ze Teach" with "And Me," a commission by Madison Technical College. The first piece is inspired by Brookmeyer (who signed off on notes to Inserto as "Ze Teach") while the second movement is a powerhouse statement driven by her sensational rhythm section with guitarist Eric Hofbauer, pianist Jason Yeager, bassist Sean Farias, and drummer Austin McMahon (whose supple touch and architectural sense of form always elevates her music). There are any number of ways to run and maintain a jazz orchestra. Duke Ellington's ornery crew was famous for its long-running feuds and disputations, a bumptious environment that clearly didn't impede his unprecedented creative output. Inserto has taken the opposite tack, fostering a familial vibe that encompasses her special guests. 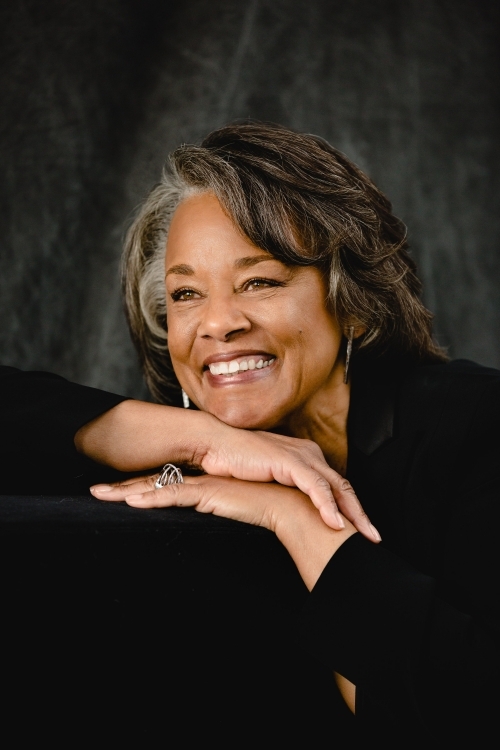 She met Jones during his tenure as chair of the Berklee College of Music's brass department. "We started collaborating early on," she says. "I've gotten to know him really well and was so excited he was into recording." Garzone, who has mentored several generations of improvisers and is the subject of a new documentary Let Be What Is, has appeared on every album by Inserto's orchestra. 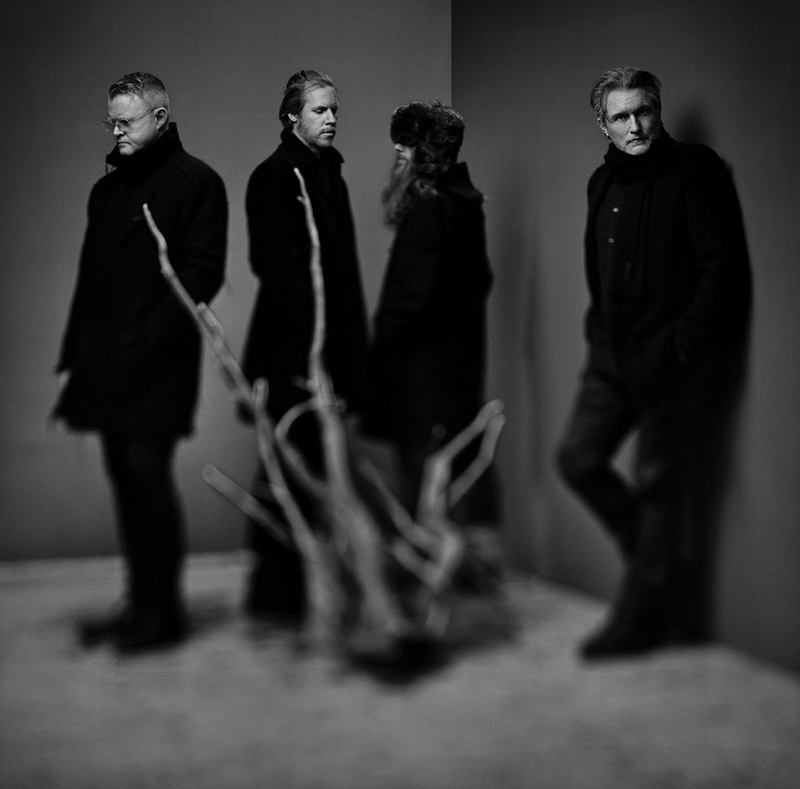 Though not an official member, he has played an essential role in shaping the group's sound. Fedchock has intersected with Inserto in various ways over the years, from hiring her as a copyist way back when to marrying her longtime friend, the orchestra's able bass trombonist Jennifer Wharton. Inserto worked assiduously to foster an environment in which exceptional musicians like trumpeter Dan Rosenthal, saxophonist Allan Chase, and reed expert/flutist Rick Stone can thrive. "I always cook for my band," she says. "Any time we have a gig I make sure they have food. I consider lot of the players close friends. My husband Jeff Claassen plays lead trumpet. There's a trombone and bass trombone duet in 'Mr. and Dudley,' featuring Jen and John. Randy Pingrey (trombone) and Kathy Olson (bari sax) are another married couple. There's not a single person in the band who I couldn't call on or hang out with." Born in Singapore, Inserto was 14 when her family relocated to California. 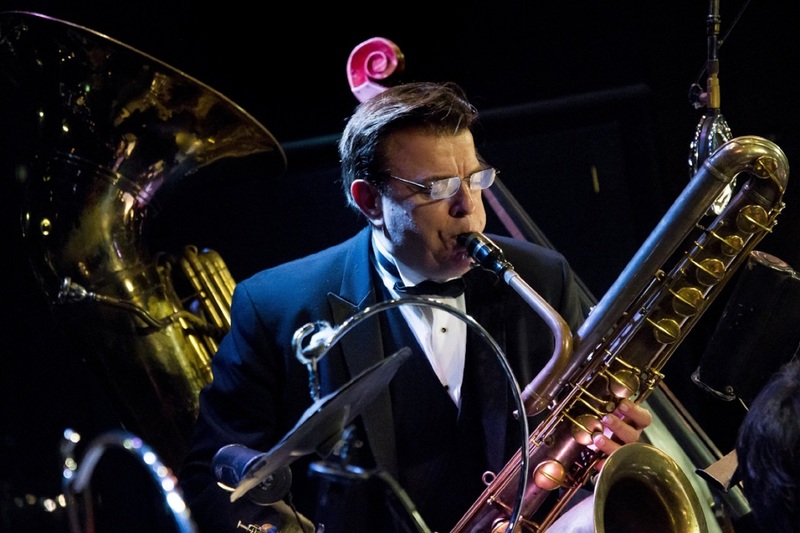 Within a year had settled in the San Francisco Bay Area's East Bay, where Inserto was well prepared to take advantage of the region's extensive jazz educational resources. She had started taking piano lessons as a child and jumped into music at her Catholic church where she became "very active in the church choir. They had this one band that had a little more modern sound," Inserto recalls. "I was playing the organ, and there was lot of improvising that would go on before the service started. A lot of our music only had lead sheets, and I'd make up stuff to go with them." Introduced to jazz via the Manhattan Transfer, she learned to read chords from a book of Disney tunes and soon started substituting her own chord choices to make the songs sound more interesting. By the time she entered Clayton Valley High School in the East Bay city of Concord, Inserto was obsessed with music, playing piano in various school ensembles including the jazz band. She discovered Bill Evans, McCoy Tyner and other piano giants while continuing to study classical piano. She was also an avid member of the award-winning Blue Devils Drum and Bugle Corps, playing mallet percussion. A weeklong Berklee camp in Los Angeles expanded her jazz vocabulary exponentially, she says. "Around that time," she says, "I also got hired to write for the Blue Devils corps, writing all these mallet percussion ensemble pieces." She attended Los Medanos College's respected jazz program for several years and then transferred to Cal State Hayward (now Cal State East Bay), where she thrived under the tutelage of trombonist/arranger Dave Eshelman, a revered educator and bandleader who has mentored several generations of exceptional Bay Area jazz musicians (he provides Rabbit Hole's spot-on liner notes in verse). Encouraged to apply to New England Conservatory by saxophonist and NEC professor Allan Chase, Inserto was drawn to the school by Brookmeyer. "I studied two full years with him," says Inserto, now a long-time associate professor of jazz composition at Berklee College of Music. "I was writing from a piano player's point of view, and he got me into more melodic writing, developing these long lines. After NEC he really took me on as a mentor." While Brookmeyer's influence is laced throughout Inserto's music she has honed an independent musical identity writing and arranging for her orchestra as well numerous other ensembles that come calling with commissions. Her orchestra's 2006 debut album Clairvoyance earned rave reviews hailing her vivid writing and seemingly boundless well of ideas. The project featured Brookmeyer, Garzone, and many of the key players who are still part of the 17-piece ensemble. Her second album, 2009's Muse, cemented her reputation as a composer and arranger of exceptional acuity. 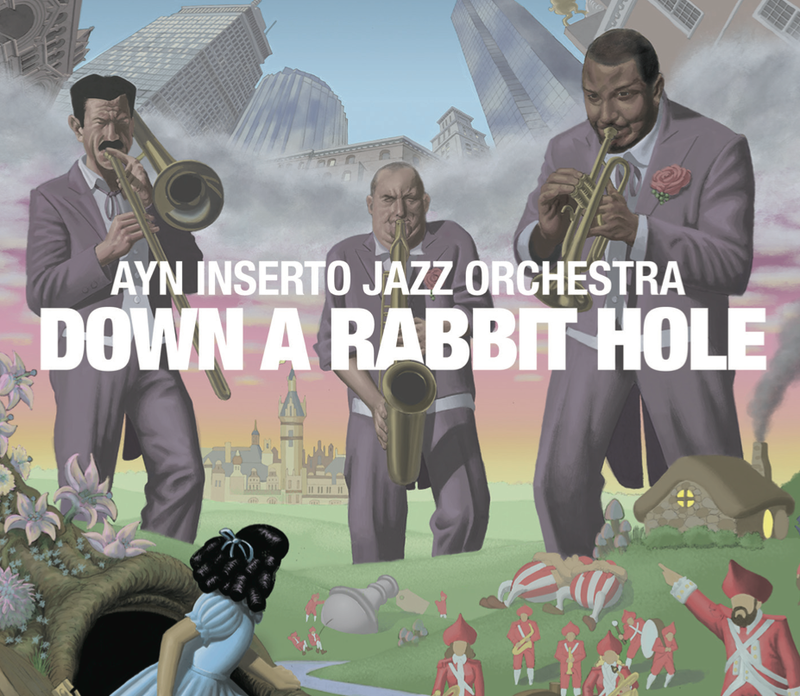 The various connections manifesting in Down a Rabbit Hole are captured in the album's cover art by Kendall Eddy (a former bassist for the band). Inserto commissioned him to create the artwork, which features various layers of symbolism - like Boston's skyline in the background - readily discernible to a sharp-eyed observer. "There's the brook running through the field, which stands for Brookmeyer," Inserto says. "There are the three giants who drank the potion, like Alice, and became the big artists. I'm running around amidst all the madness." Crazy like a fox, Inserto has created her own musical Wonderland with her orchestra, a sensational aural universe easily accessible with a little step down a rabbit hole. A New Wave Of Jazz profiles itself more than ever as a label that not only materializes curator Dirk Serries immense passion for the wilful in music, whether free impro or minimal music, but also tries to tie/bridge those specific genres. The label towards the future will expand its catalogue with a series of excellent albums by prominant and exciting artists. This Fall however the label focuses on the realization of the first three TONUS albums. 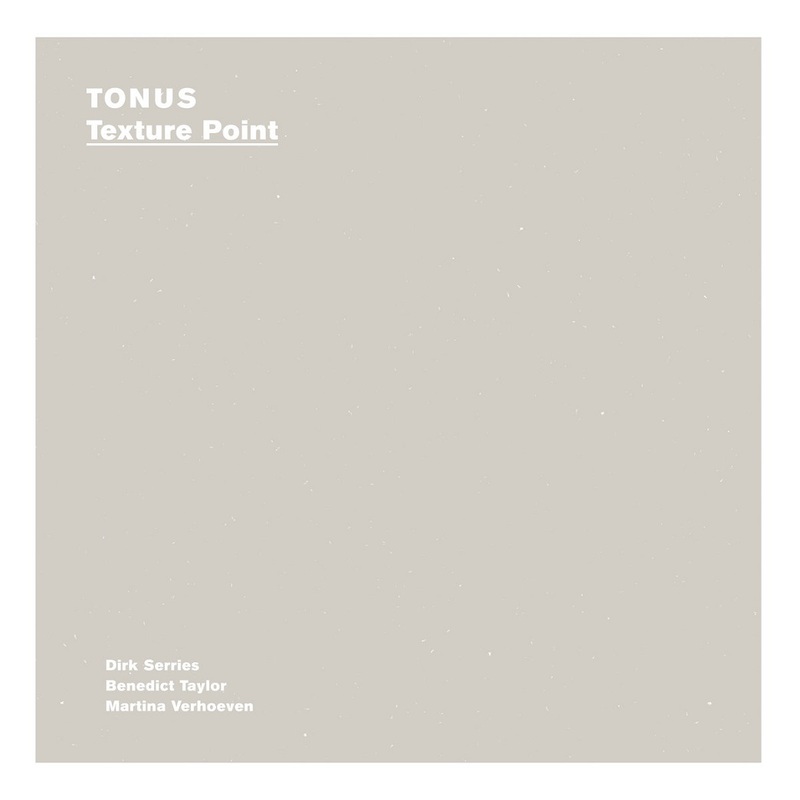 TONUS as an ensemble grew out of Dirk Serries' jazzcase residency in 2017 for which he brought together a sextet to work around a slow piano motif by Martina Verhoeven. The literal translation of Tonus is muscle strength, but in this context defines a musical system that places equal importance on the space between notes. Both definitions apply here as the music is an exercise in discipline and anticipation while controlling the clarity, sustain and effect of each single note played. 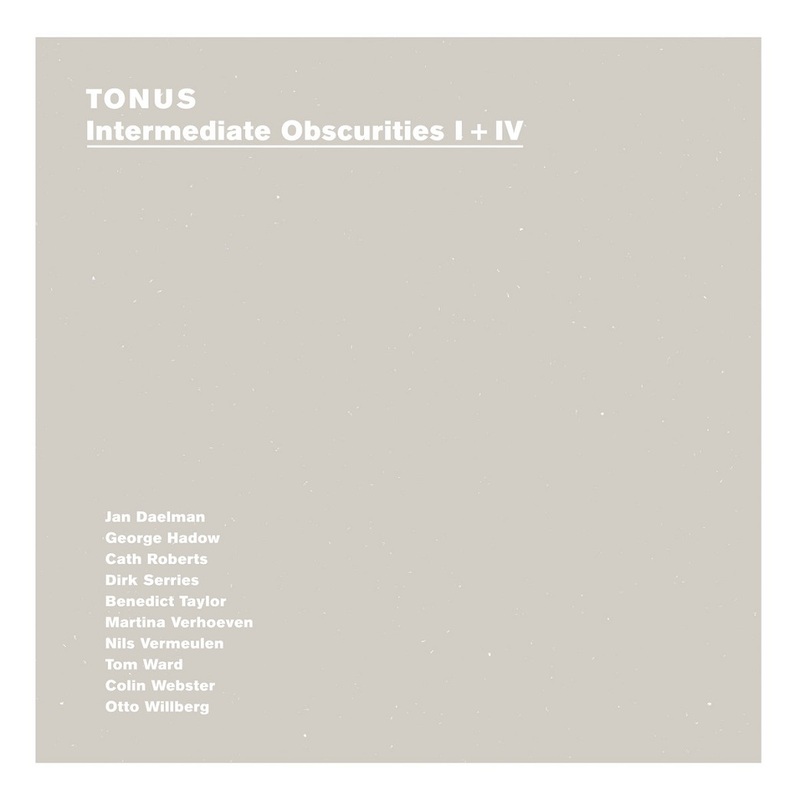 The birth of the TONUS happened when Serries realised that he needed a vehicle to explore and perform these exercises, as well as a general classification for his ongoing study in minimalism and free improvisation. These albums are officially out on October 13th 2018 ! Celebrating Dirk Serries' 50th birthday in par with the release of three TONUS albums, the TONUS ensemble (in varying line-ups) will play five special events. The 5th Annual New York HOT JAZZ FESTIVAL presented by THE MCKITTRICK HOTEL & HOT JAZZ PRODUCTIONS :: Sunday, September 30, 2018 2pm-2am! 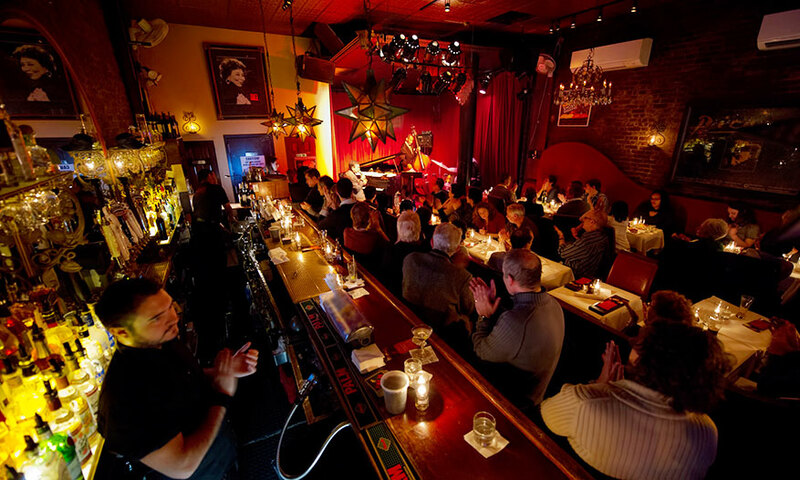 2018 marks the 5 Year Anniversary for what has become a New York institution, The New York Hot Jazz Festival. 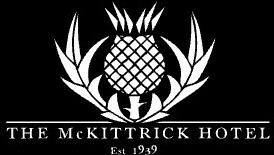 Music Impresario and Hot Jazz Productions founder, Michael Katsobashvili and The McKittrick Hotel, 530 West 27th Street, NYC (home of Sleep No More), announce the return of the festival to its yearly headquarters on Sunday, September 30th, across three stages within The McKittrick. The hot jazz and swing party of the year returns to Chelsea’s McKittrick Hotel once again featuring three stages with continuous live music for 12 hours from sixteen ensembles and a myriad of special guests and performance artists. Celebrating traditional (pre-bop) jazz, with rising stars and legendary performers alike, the festival will showcase the best talent of the hot jazz and swing worlds in New York and beyond with music spanning the entire scope of early jazz – from its New Orleans beginnings through the Jazz Age and into the Swing Era. Additional artists will be announced shortly. The top headliner of the 5th anniversary festival is the biggest name in the world of hot jazz: Grammy-winning Vince Giordano & The Nighthawks (subjects of last year’s documentary film There’s A Future In The Past). The acclaimed big-band leader and multi-instrumentalist, Vince Giordano, will be the first recipient of the New York Hot Jazz Festival's new lifetime achievement award in recognition of his immeasurable contributions to traditional jazz. Mr. Giordano will be presenting two separate programs at the Fest: Hot Potpourri and From Harlem To Montmartre: a Jazz Age Voyage. The second program will celebrate the centennial of James Reese Europe’s 369th infantry regiment, the “Harlem Hellfighters” band, who brought their form of ragtime and jazz to France for the first time when they arrived on the battlefields of Europe in WWI. The program will also celebrate the subsequent influence of the Hellfighters' distinguished veterans, who channelled the Harlem Renaissance to the Lower Montmartre district of Paris in the 1920s. The Nighthawks will be joined by several special guests, including tap dance whiz DeWitt Fleming Jr., with an homage to the legendary Bill “Bojangles” Robinson, who appeared in Lower Montmartre in the '20s and later starred in a James Reese Europe biopic. The luminescent French vocalist/dancer Nicolle Rochelle will join the Nighthawks in an tribute to the most famous celebrity to come out of Lower Montmartre: Josephine Baker. More artists joining Mr Giordano are to be announced shortly. Another notable homage in the Fest will be the New York premiere of a new Fats Waller revue, created by tap dance star Michela Marino Lerman with the explosive Michael Mwenso & The Shakes. This production has already enjoyed a successful run in London’s West End and will be presented here to commemorate the 75th anniversary of the passing of this legendary piano player and songwriter. The French theme of this year's edition of the Festival will be extended by a number of French artists. French-born Elizabeth Bougerol will co-lead the exhilarating Hot Sardines, one of the founding ensembles of the Festival and one of the most prominent acts of the current hot jazz and swing revival. French accordion virtuoso Julien Labro with Gypsy swing guitar wizard Olli Soikkeli will make the Fest debut with their new quartet. Another of the Fest's founding bands, Avalon Jazz Band, led by the rising star vocalist Tatiana Eva-Marie, will present From Paris To New Orleans program with both Manouche and Eastern European Romani twist. NOLA's-own rising star, Sasha Masakowski, will join the Avalon as a special guest. Soprano saxophonist Olivier Franc, one of the top living disciples of Sidney Bechet, will be joined by his son, the stride piano specialist Jean Baptiste Franc, for a tribute to Bechet: the native son of New Orleans, who became a major presence in the clubs of Lower Montmartre in the '20s then rose to worldwide prominence. The greatest New Orleans clarinet player of our time, the inspiring Evan Christopher, will be appearing as part of the New York Hot Jazz Festival’s year-long celebration of Crescent City tricentennial. Big Easy celebration will also include a representative of a younger generation of New Orleans hot jazz specialists — formidable trombonist Charlie Halloran, who is making his Fest debut with a band of his own." Several New York-based bands will also salute the Big Easy, Gotham-style! Among them are John Gill’s New Eureka Jass Band and the exhilarating Sugartone Brass Band, led by tuba powerhouse Kenneth Bentley, bringing NOLA brass sound to the Fest for the first time. Another traditional jazz sound to be heard at the Fest for the first time is the Hawaiian-style string band swing of Bliss Blood’s Moonlighters. The ultimate string highlight of the festival will occur as three acclaimed banjo masters Cynthia Sayer, Blind Boy Paxton, and Banjo Hall Of Fame inductee Eddy Davis join forces and battle it out in hot jazz Banjo Summit. The award winning four string banjo star Cynthia Sayer and her trio and the inspired bluesman multi-instrumentalist Blind Boy Paxton will have individual set before the banjo summit. The Festival will feature a visual and sonic art installation dedicated to the early history of jazz recording. The installation is created by Phonograph DJ MAC (aka Michael Cumella), the host of the long-running The Antique Phonograph Music Program on WFMU and the visual/immersive/performance artist Lillian Lorraine (aka Syrie Moskowitz.) Ms. Moskowitz will also be exhibiting her Jazz Age-inspired artworks throughout the McKittrick’s Heath. DeWitt Fleming Jr. and Tatiana Eva-Marie will serve as the 5th anniversary Festival’s co-hosts. • “Hot Jazz Benefactor” tickets are $200, and include priority entry from 4pm, reserved seating at both main stages and acknowledgement in the festival newsletter. • Reserved Seating tickets are $135, with access to reserved seating area at the lower level stage from 4pm. • General Admission first tier tickets are $49, with 4pm entry. 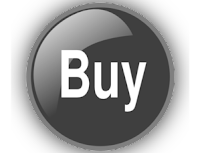 Succeeding advance GA tiers are $59 and $69. Advance pricing available while tickets last. • Hot Jazz Brunch that kicks off the Festival at Gallow Green at 2pm is an additional $39 (must be combined with General Admission, Reserved Seating or Benefactor tickets) and features an additional Festival band. Brunch comes complete with coffee, tea, the rooftop’s seasonal brunch buffet and live hot jazz music. For complete festival details and lineup, visit the official site www.nyhotjazzfest.com. For the venue information, visit www.mckittrickhotel.com or call 212-904-1880. 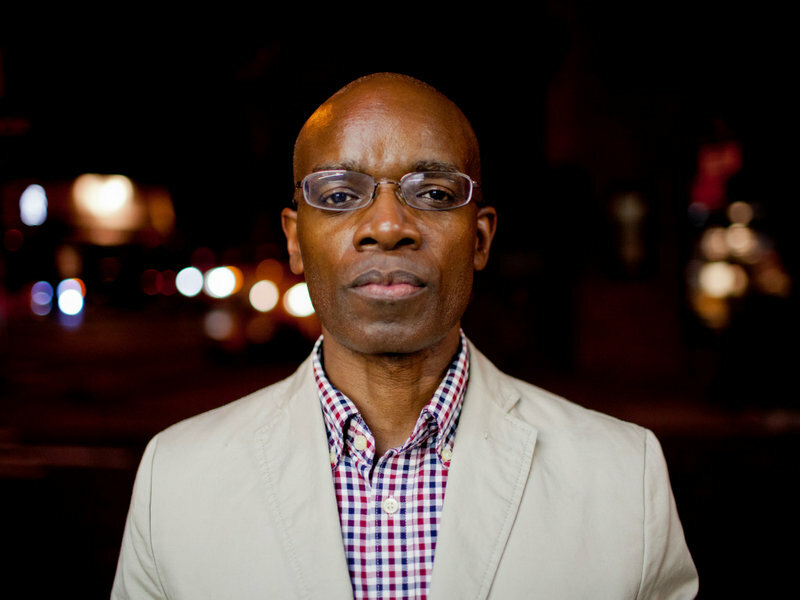 We’re announcing Rudy Royston’s third album as a bandleader. 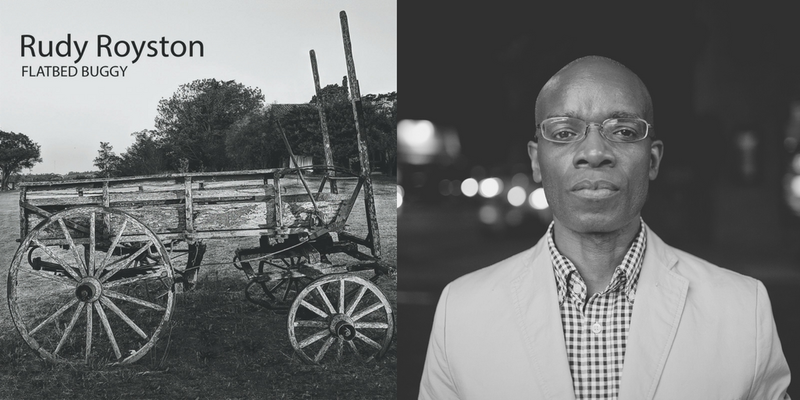 Flatbed Buggy features a new chamber-like quintet performing Rudy’s original compositions inspired by his youth growing up in Texas. The new album, Rudy’s third as a bandleader, features thirteen original compositions for a new chamber-like quintet that includes Gary Versace (accordion), John Ellis (bass clarinet/saxophones), Hank Roberts (cello) and Joe Martin (bass). 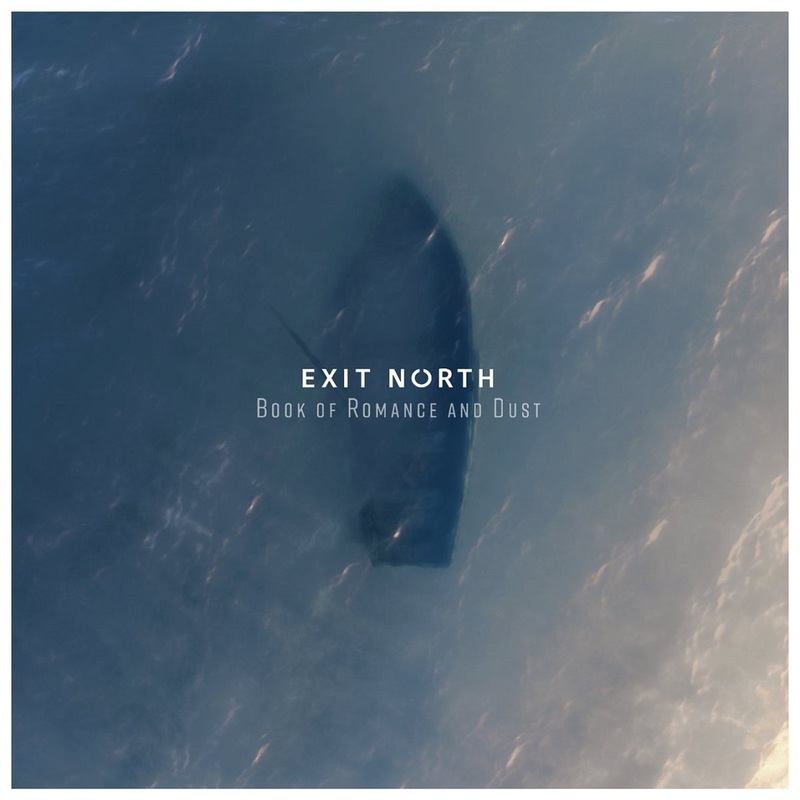 Right away the instrumentation is a striking departure: Royston leads a compact, almost chamber-like quintet featuring Gary Versace (accordion), John Ellis (bass clarinet/saxophones), Hank Roberts (cello) and Joe Martin (bass). “I was going for something that was more about melodies,” Royston declares. “I wanted to illustrate a story.” And indeed, the melodies flow forth on Flatbed Buggy, with rich harmony and surpassingly subtle orchestration and interplay occurring at every step as well. 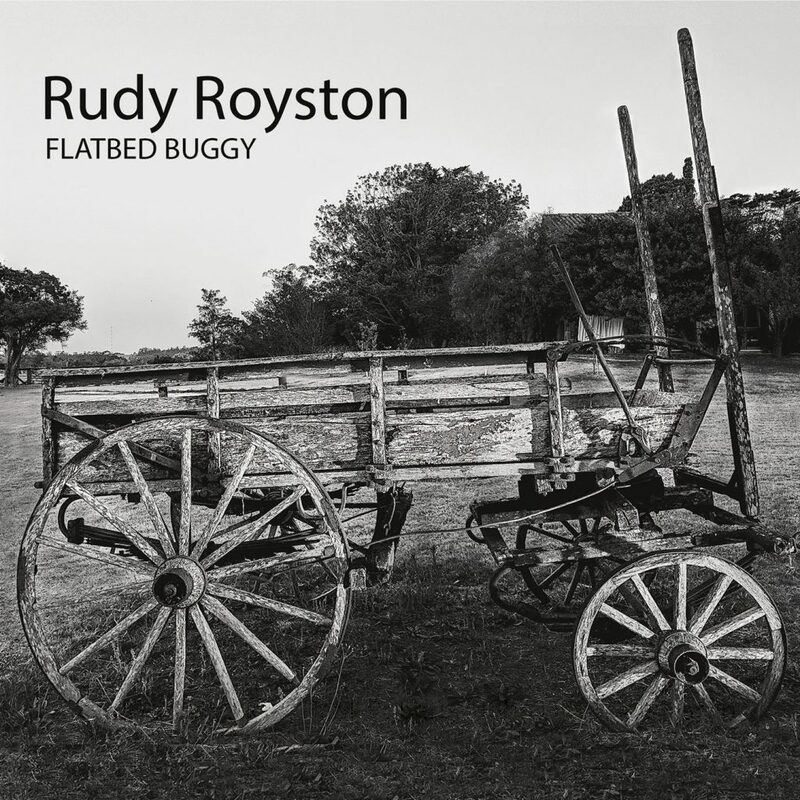 Together with the deep and woody instrumental timbres of Flatbed Buggy, there’s the way Royston keeps them continuously in play, beyond conventional jazz-combo roles: “I wanted us all to be constantly playing. I wanted us all to orchestrate or color or have a little input regardless of who is soloing. So if you check out the little stuff Hank is doing on Gary’s solos, for instance — all these neat little themes are happening. It sounds very orchestra-like for me. Some of it is written but 90 percent is those guys just interjecting their own taste into what’s going at the time. While Flatbed Buggy presents far more than a succession of virtuosic solos, the passion and technical depth of the performances themselves — including standout improvisations from all involved — can’t go unremarked. John Ellis, among the great saxophonists of his generation, plays mainly bass clarinet throughout, achieving a remarkable sound and impact. Gary Versace, a top organist and pianist of our time, is equally stunning on accordion, bringing a reedy melodic sustain and full harmonic weight to the music. On the low strings, whether bowed or pizzicato, Hank Roberts and Joe Martin contribute a wealth of subtlety and energy as well, intersecting and digging in, never in the expected ways. And Royston, even though he lays back and never dominates here (he notes there’s only one drum solo on the record), still offers what amounts to a master class on the jazz drummer’s art. There’s an endless amount to discover: the melodic development and final triumphant letting-loose of the opening “Soul Train”; the hint of New Orleans rhythm in “Flatbed Buggy”; the picture of innocence in a young child twirling, on “Twirler,” with a startlingly brilliant tempo shift into slow swing; or the fast, twisty bop theme and soprano sax showcase of “Bobble Head” (where that lone drum solo crops up). Check out the album’s title track, on Apple Music and Spotify. Pre-order the album now on Bandcamp, iTunes, Amazon and you’ll receive the lead track instantly! And watch for tour dates to be announced soon!